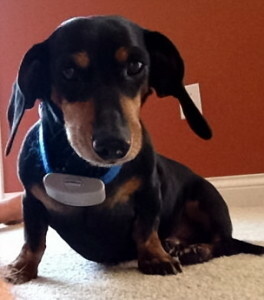 Our beautiful chocolate colored Dachshund will celebrate his 14th birthday this month. As most pets are to families, our little Bruin has brought so much unconditional love to our family. The thought of Bruin not being at the door every night, begging for little morsels of food at the table or burrowing under a heap of covers can be very daunting. However, for now our family is cherishing every moment with him. No one wants to think about a beloved pet passing away. However, as Bruin’s birthday approaches, I want to pre-plan a proper farewell for our beloved pet. Perhaps, this sounds a little premature, but I want to have a plan in place in the event Bruin leaves us unexpectedly. The idea of pre-planning Bruin’s funeral came to me as I toured a local company for funeral services for my job in Hospice. The company discussed their pet and cremation services. The goal of the Indiana company (Flanner and Buchanan) is to help ease the sorrow of losing a pet by offering a variety of choices for memorializing your pet. Cremation services at Indiana’s Flanner and Buchanan are at an affordable cost of under $200.00. For this price, Flanner and Buchanan will serve all pets with their services. At their location, families are offered the opportunity to spend alone time with their deceased pet prior to the cremation in their private community room. In addition, each family will receive a paw print of their pet. Individual cremations are done by their caring staff and the company offers a wide variety of urns and other pet memorial products. If families are considering a burial site of a beloved pet, the company has a special area called the Forever Friends Pet Cemetery. Although the cost may be higher than cremation services, it does offer another option for families. The trend to pre-plan a proper funeral is not that unusual. The nation’s largest casket maker for humans is now launching funeral products for animals. The Aurora Casket Company has introduced a line of products customized for pet owners. According to Aurora, 62% of American households have a special pet. Planning ahead for Bruin has been cathartic. For our special dog, Bruin, he will be cremated. Indiana’s Flanner and Buchanan offers a special planter that will combine Bruin’s ashes along with the seeds of a tree. With sunshine and water, Bruin will come back as a beautiful tree in his favorite wooded park.